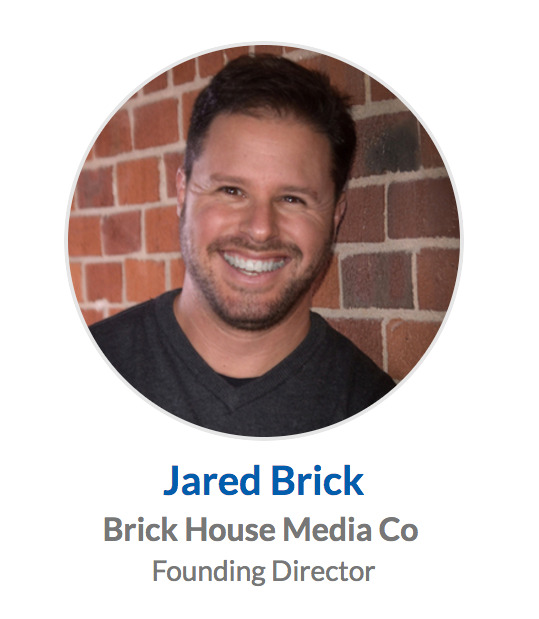 Brick House Media lead a live webinar as an innovative online session hosted by a super-creative and energetic NewCo Bay Area speaker, Jared Brick of Brick House Media Co. On this webinar, Jared reviewed how professionals at any stage in their journey can leverage media for their growth and evolution into industry leaders. Developing into a thought leader can be an effective career strategy and yet is often a crowded confusing space. How will you craft your online world to attract the right audience, top clients, leading speaking gigs, new book deals or more leadership benefits? We’re living in dynamic and uncertain times... now is the time to break out, declare yourself as a thought leader in 2017! This webinar was packed with quick take-away insights, tech efficiency tools and media strategies to help you break through into a leadership spotlight. ANOTHER PACKED HOUSE LIVE SESSION IN OAKLAND AT NEWCO. We shared about how our company has grown via leveraging visual media, content syndication, video marketing and new digital mediums! Thanks for joining us... stay tuned on Youtube for the full video! We fully packed the house with NewCo attendees, aspiring to inspire! "Transforming Experts into Leaders via Multimedia"
A Complementary Strategic Consultation with Jared and his team. Experience NewCo Festivals, now offered around the world for access into innovative companies! We support emerging professional and business innovators to share their story and engage new followers for ongoing growth. We built a truly efficient and custom multimedia service, with new tools built with your core values in mind. Whether you have an emerging new business or an established evolving company seeking to build out new assets, engage an audience and grow... we can certainly help. Your early adopter fans and passionate audiences want to hear more from you, the faster you can deliver on... the higher your chances for more conversions and real ROI. The next step is to engage this new audience, so you will stay "top of mind". We support you in developing a holistic multimedia deployment strategy and leverage your momentum. Our goal is to disperse new high integrity content from your companies materials, a talk or event, and then spread it even further for deeper engagement, wider reach and new opportunities. Contact us for your Complimentary Strategy Consultation TODAY! Did you see an ad of ours, if so, please enter the code here, thanks! CONGRATS ON taking action...WE LOOK FORWARD TO HEARING FROM YOU!